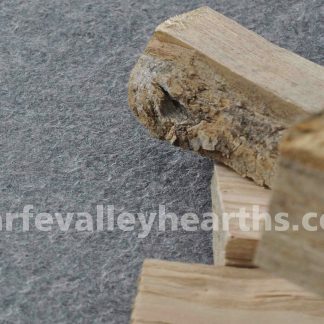 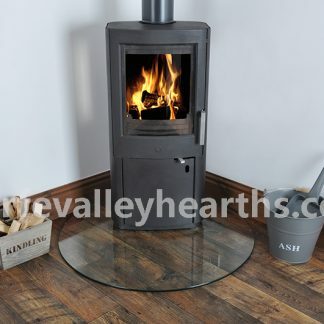 Glass Hearths are ideal for wood burning stoves. 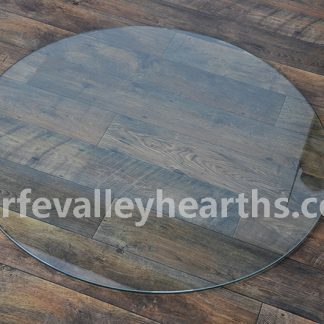 We bring to you a wide range of high quality glass hearths made to the highest standards. 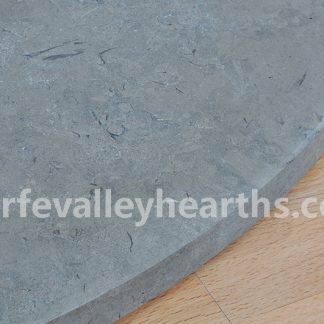 Whether you are looking for a standard, circular, inset or a hearth with clipped corners, we have them all. 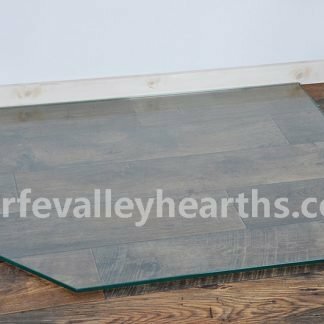 Most of the floor plates below come in a clear, smoked (tinted) or black glass but we also provide a painting service to suit your individual needs if you require a unique colour. 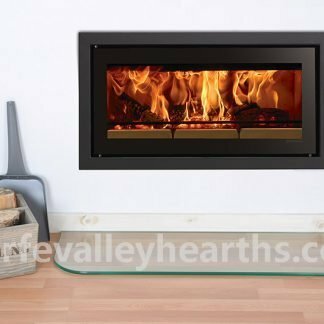 If you have a wood burning stove that produces less than 100°C heat, a 12mm thick glass hearth will help you meet regulations.Glass is heat resistant, which makes it the material of choice for combustible flooring covers. 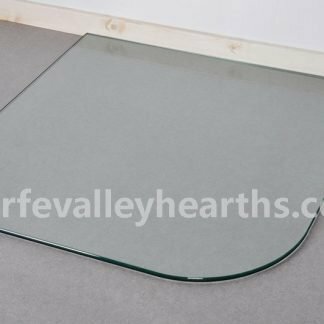 Being non-combustible, a glass plate will protect the floor from the heat emanating from your stove and from the deposits. 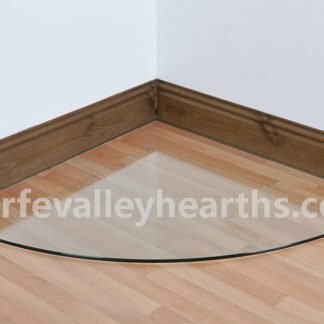 They great on almost any flooring, especially wood floors. 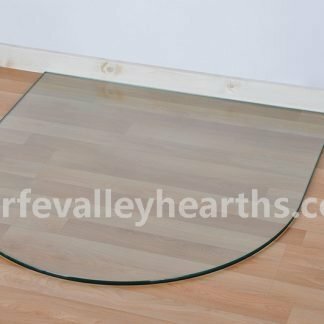 What's more, they will safeguard your floor without covering your floor from view. 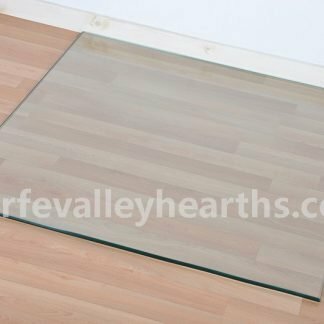 The transparent glass will flaunt your stylish flooring just as well. 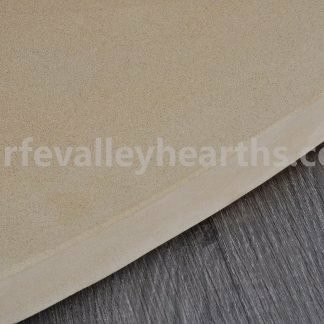 It will add a touch of style and elegance to your space no matter where you place it. 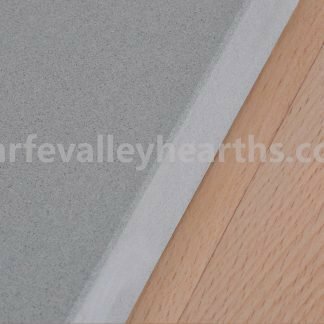 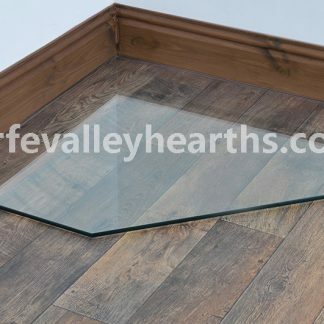 The demand for contemporary and modern glass hearths from Wharfe Valley Hearths has risen considerably. 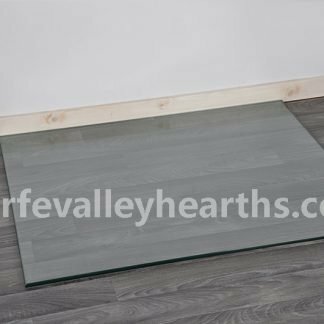 We make available premium glass hearths in black, smoked (tinted) and clear options. 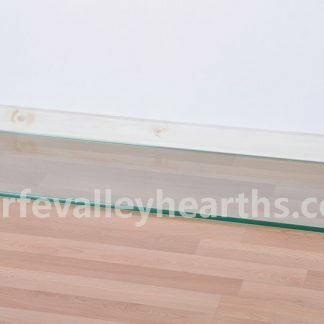 We use high quality glass in the manufacturing process making our products simply unmatched. 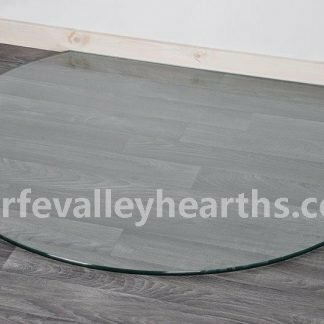 If you are looking for a custom size, choose our bespoke service for clear and coloured options in sizes up to a maximum 1000mm x 1150mm.